With deepest sadness, we share the loss of friend and Double El CD Board member, Dale Lucore. Dale passed away suddenly and unexpected at home on September 5, 2017. Dale has served on the board of supervisors since 2004. Many years he served as Vice President for Double El CD. 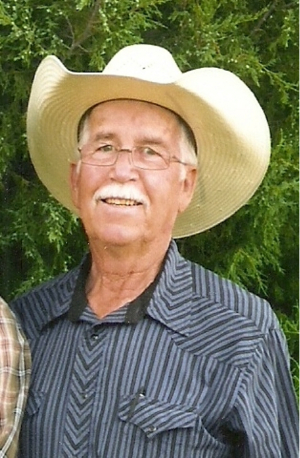 Dale was an active supporter of the Living Snow Fence program and the annual tree program. He is survived by his wife of 51 years, Darlene; his son; Shane (Meagan) Lucore, daughter; Tanya (Jason) Gerstberger, and three grand-children, Reta and Levi Lucore and Austin Gerstberger. A memorial gathering will be held Friday, September 15, 2017 between 1 pm – 4 pm, Liberty Plains Baptist Church, 604 Summit Ave., Simla, Colorado. Memorial contributions may be sent to: Double El CD, P O Box 215, Simla, Colorado or Love Funeral Home, P O Box 188, Simla, Colorado.